After eight years of testing, Waymo is ready to go public: Google's autonomous vehicle spin-off is offering families in the Phoenix area the chance to try out its self-driving cars as part of a new pilot ride-sharing program. The move brings the technology a step closer to becoming a day-to-day reality and coincides with efforts by other entrants into the fast-emerging field who are rapidly expanding the number of autonomous vehicles now on public roads. 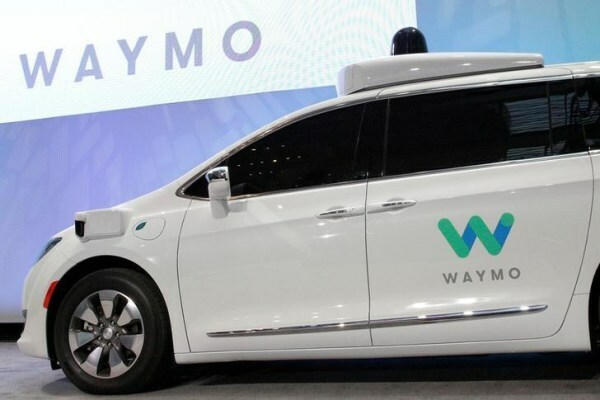 The pilot program could cement Waymo's position as a leader in the technology while also giving a big boost to Fiat Chrysler Automobiles, the automaker that will now provide another 500 Pacifica plug-in hybrid minivans for use in the Arizona project. Waymo had quietly begun offering rides to a "handful of Phoenix, AZ residents…over the last month," the Alphabet subsidiary's CEO John Krafcik revealed in a statement issued overnight. "Now residents in the Phoenix area can apply" to join the trial, with Waymo planning on "accepting hundreds of people with diverse backgrounds and transportation needs who want to ride and give feedback about Waymo's self-driving cars." Then a small project launched by Google, Waymo was one of the first to begin exploring the idea of making autonomous vehicles, long the stuff of science fiction, an everyday reality. Since then, the company says it has clocked more than 2 million miles of driving on public roads with a variety of different prototypes. Early versions relied on modified Lexus SUVs. Two years ago, Google turned to Detroit auto supplier Rousch to produce about 100 sci-fi-style bubble cars specifically designed to test its autonomous technology. Some of those will eventually be put on the road in completely driverless form, with no pedals or steering wheel. The Arizona pilot, however, relies on a specially modified version of the new Chrysler Pacifica Hybrid, a plug-in minivan. Waymo unveiled the first of 100 at the North American International Auto Show in January. It will now take delivery of 500 more. While a relatively modest number by ordinary automotive standards, that's a big development for FCA. The automaker has been slow to enter the autonomous research field, unlike rivals like Ford, General Motors, Toyota and Nissan. It opens the possibility of a much larger, longer-term collaboration between FCA and Waymo that could leapfrog the smallest of the Detroit makers into a position of leadership. The tie-up also helps Waymo cement its position in the autonomous hierarchy. Long seen as a leader, it was downgraded in a recent study of self-driving technology by Navigant Research, which put Ford at the top, followed by traditional automakers including General Motors, Nissan and Daimler AG. Navigant cautioned that despite having great technology, Waymo lacked a "pathway to production." The expanded ties to FCA - as well as a new deal with Honda - could offer Waymo a path to go from concept to pilot to real world applications. "This collaboration is helping both companies learn how to bring self-driving cars to market, and realize the safety and mobility benefits of this technology," said Waymo's Krafcik in the company release. While Fiat Chrysler is providing the minivans for the Arizona pilot, Waymo is handling the technical end. It has been producing its own sensors to help its cars "see" the world around. That includes a new generation of laser-based LIDAR. These high-definition, 3D sensors cost about $70,000 apiece until recently, a hefty price tag considering four are needed. At the January auto show unveiling, Krafcik said Waymo's LIDAR sensors are down to $7,000 apiece - and some experts believe they will eventually fall to as little as $50, making widespread use affordable. The modified Chrysler Pacifica minivans are capable of operating without a driver onboard, something that would be permitted under Arizona regulations, but Waymo will, at least for the near future, continue to have a trained "operator" at the ready behind the wheel in the event of a problem. How consumers will respond to the open public invitation remains to be seen. Another recent study, this one by J.D. Power and Associates, found a sizable majority of Americans remain wary of self-driving vehicles and unwilling to ride in one - the exception being Millennials. One reason for such concern, according to Power Vice President Kristin Kolodge, has been news about crashes involving autonomous and semi-autonomous vehicles. Waymo itself has experienced more than a dozen incidents, albeit most of them minor and only one blamed on one of its vehicles. In recent weeks, two crashes have occurred in the Phoenix area, one involving a self-driving Uber prototype, another a Tesla Model X running in semi-autonomous Autopilot mode. A fatal accident was reported last May involving Autopilot, though a federal investigation largely put the blame on the driver. Waymo actually isn't the first to give everyday consumers a chance to participate in an autonomous pilot. Ride-sharing giant Uber has been operating a program in Pittsburgh, near its self-driving research center. It also launched a test in San Francisco last December, shutting it down a week later as a result of a run-in with state authorities - and reports that some of its prototype Volvo XC90 SUVs had violated traffic laws. Uber recently returned to San Francisco, though it is not yet picking up paid customers. It is also testing some of its own vehicles in Arizona, a state that has been aggressively trying to position itself as a center for autonomous vehicle development. The race to bring autonomous vehicle technology to market has accelerated, not only on the road but in the courts. A number of lawsuits have been filed in recent months, notably including one ongoing case pitting Waymo against Uber. The Google spin-off claims former employees stole intellectual property when they left to form their own self-driving truck company. That firm, Otto, was later acquired by Uber.